Khargo: Furniture and Design: Five Fridays to Christmas! 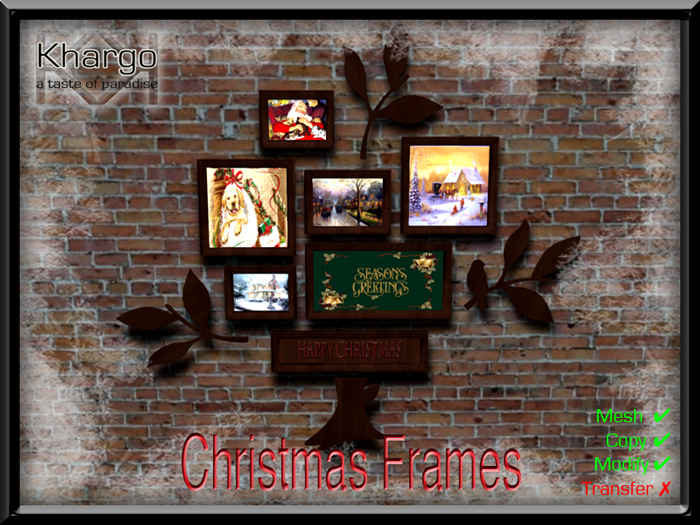 The Countdown to Christmas has begun so Khargo Seasonal has updated to the Khargo Christmas and Winter Market in world with some fantastic new releases! Our newest and favourite Christmas Campfire, perfect for cozy cuddles or hanging out with friends and toasting marshmallows. 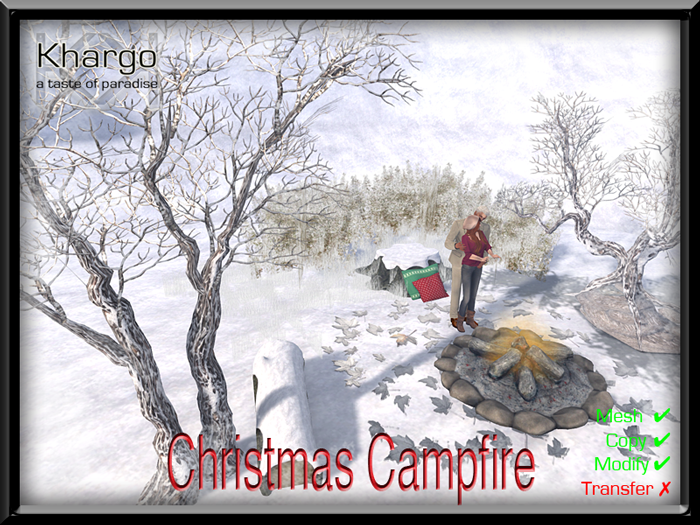 The animation change Christmas Campfire has 3 spots to sit: 2 with single and couple animations and 1 with single animations. 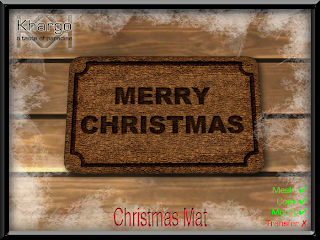 Keep track of your visitors and send them a festive greeting with this Christmas mat. 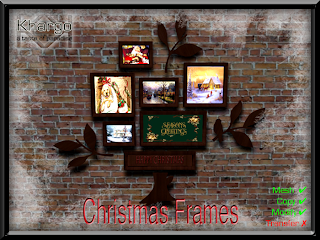 Display your favourite holiday moments in this frame!